Learn: How to limit your risk in any trade. How to keep your upside open so that you literally have no profit limits. Income Methods 1 through 12. To reduce your risk, take income, or both. Using Income Methods to augment your returns while paying for your insurance. 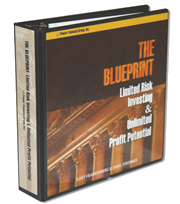 The Blueprint discusses the foundations and specifics for setting up a married put, full discussion of the 12 different income methods (what they are, when to use them, what pitfalls to avoid), and examples of each income method in a trade and management techniques for each of the income methods. 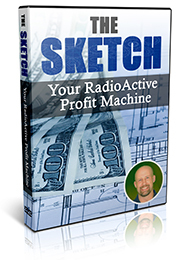 Over 250 pages detailing step by step how to implement the RadioActive Trading Strategies. A Special Chapter on Combining Income Methods. This chapter details everything! Mike, thanks so much for answering my questions on Married Put. 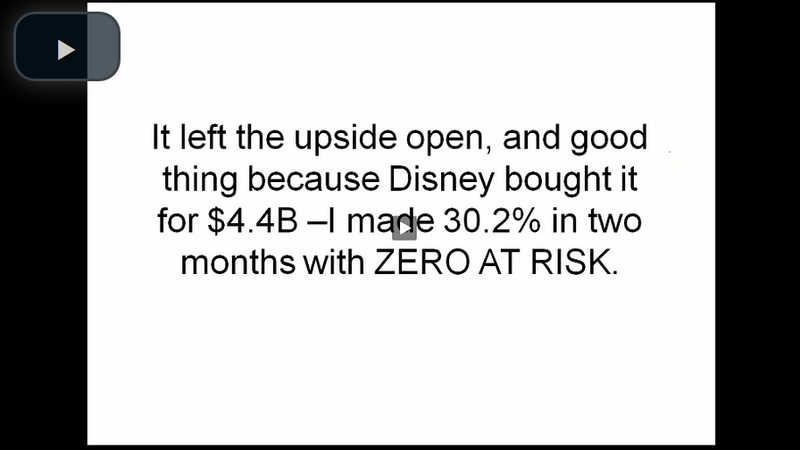 I had to admit I wasted 10 years time and money on trading Covered Calls and others spread trading. My sister bought the Blueprint 5 years ago and has been very successful. So I am coming back to you for the Blueprint. You guys are GREAT. I am new to RPM but not new to options trading. Read tons of books about options. McMillan, Elder, Carter and many others. But none of them put all this together in a context that really makes sense and preserved my capital. You guys did. You give options trading a completely new touch. Amazing. Thanks for that! ...you have a great service. since i started using your strategies i have made over $61K in 3 months. I really enjoy your service and product. First off, love the material and the service. I just tore through The Blueprint this weekend. I've previously worked on a derivatives trading desk and your strategy is very unique. I plan on using a married put strategy combined with dividend stock investing to allow the dividends to help finance the protection. Then wait for movement, adjust, bulletproof, profit. I must say I am very impressed the educational materials and most definitely the site itself. I stumbled onto your site, not sure how, but find that my misstep has resulted in finding a hidden gem. Thanks to you and Ernie, and most definitely Kurt, for sharing with the rest of us. Kudos. I ordered The Blueprint and read it from cover to cover over the weekend. I loved it. I wish I knew this information three years ago when I began trading right before the crash! I would have saved my principle and made money on the way down!